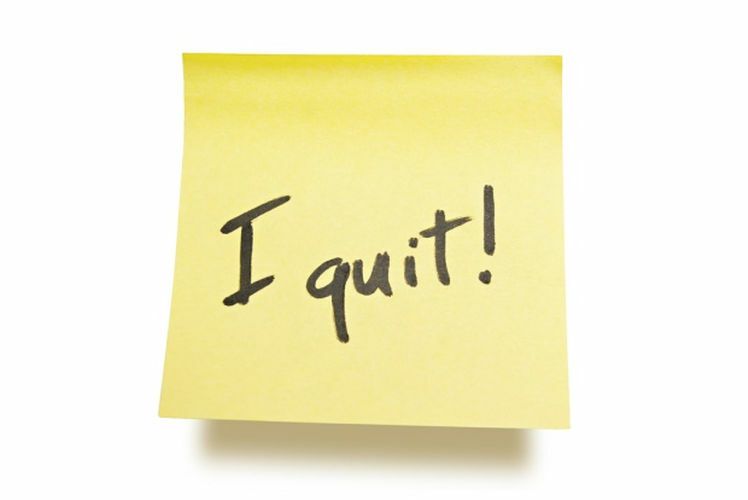 First of all I would like to point out that there is a difference between quitting because you give and quitting because you have had enough. Before Friday the 27th of July I was convinced that I can do any job regardless of what it was, (whether it's cleaning or in some office) though I had found my match. I went for an interview, aced it and the next day I was invited for another day long interview/induction thing, and me being a good sport I took it in my stride and went along with everything. At the end of the interview/induction I had a final 3rd interview, and to my delight I got the job. Everything was great and I was loving life. Though when I got home for the weekend and really thought about what I had just sighed up to. I knew by Monday morning this wasn't the job for me, it was disguised as charity fundraising which I am all up for (I have volunteered for 450 hours so far), but really it was a sales job and not just any sales job. It was a door to door sales job, 8hrs a day. So I stuck it out for a week thinking maybe it was new jobs nerves, but as the training went on I was exposed to more of the negative side of the business, in addition to the negative people there. At one point I was even told I wasn't there to make friends with fellow employees and not allowed to talk to them, but yet we were supposed to work in teams? That made no sense to me. So I thought cool, I can do this job no problem. I have all the skills and the right attitude, I just need to get through training. So I got through improper training and was thrown out on my own in the deep end to knock on people's doors for 6hrs, I was terrified and to top it all off. I have a serious phobia of dogs, so the prospect of a dog running out when the person opened the door terrified me but I was ready for it. As the days went on I was pretty much fed up, I was getting up at 6:30am and arriving home at 11:15pm. I was drained. I took a day off to sort out some personal stuff and then went back for one day. That day I was put with the most negative people to work in a team with, and we actually ended up arguing something very trivial. Anyways, that was it for me. Whilst I was in my feelings, I called the boss telling him that the job wasn't for me and I just didn't want to waste any of his time. Though I did finish the rest of the day thinking maybe I was a bit too hasty. That feeling quickly changed when I saw on the news that 'cuggers' aggressive fundraisers (which basically was the job I had just quit) could face criminal prosecution and l thought thank god I got out of it. Now I have realised that perhaps the any job approach to job searches needs redefining. What a courageous thing to do! I guess that sounds weird, but it truly is, to realise something isn't for you and have the balls and maturity to let your employer know that you don't want to waste their time. Everything certainly does happen for a reason - got my fingers crossed for you with whatever comes next! So honest! Love this post!